An estimated 620 liters of water per square meter fall every year in the capital of Catalonia, with March and October being the months when most of the rainfall is registered. As you can see, the weather in Barcelona is generally mild and rainfall does not usually affect the people who visit the city. However, what should you do if this is your case? Don’t have a clue about what things to when it rains in Barcelona? We have prepared a whole list of options for youngsters and adults to fulfill all kinds of tastes. So, don’t miss out! The amount of fun things to do in Barcelona has no end, even during the rainiest of days. Take a look at some of the most original ideas you can make with friends or as a couple. Don’t let the rain stop the fun! Barcelona has many escape rooms, set in all kinds of situations and for all types of level. Feel like Harry Potter for an hour, learn about the mysterious story of the Raval vampire as you try not to fall into her clutches or run away from an insane asylum before one of the patients does before you. There are many in Barcelona, including some sites where you will have more than one theme to choose from. Is there anything more relaxing than a good bath on a rainy day? 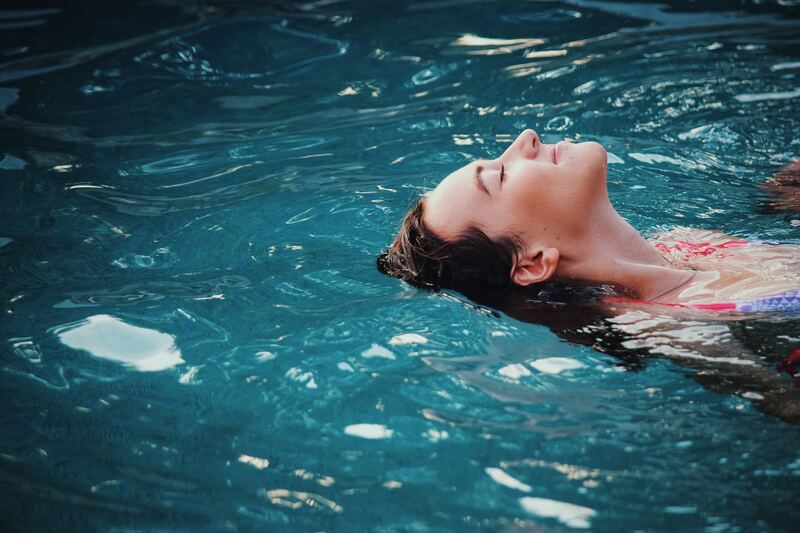 Pamper yourself and visit one of the spas where body and mind will tune in and allow you to end the day as if you were floating in the middle of a cloud. At Aqua Urban Spa you will have the option of a hydrotherapy circuit that includes a foot bath, a Turkish bath, Roman bath and different thermal showers and sunbeds that will help get rid of toxins from your body, all accompanied by a refreshing juice. In this place you will also find therapeutic, circulatory and even reflexology massages. One of the most sought-after spas is Aire, located by El Born market. In this historic venue you can release tensions in different aquatic spaces that will align all your senses. In addition, you can opt for special treatments such as an antioxidant bath with wine, hot oil massage or four hands and beauty treatments that will leave your skin like new. If you want to make a small trip to Morocco, we recommend Rituels d’Orient, an experience that will bring you closer to the oriental tradition of the hammam thanks to a Turkish baths circuit that you can combine with an exfoliation or massage treatment. If you do not want to forget about your routine on any of the rainy days in Barcelona, you do not have to worry, since the amount of activities you’ll find in the city will allow you to practice your favorite sport. Do you like climbing? 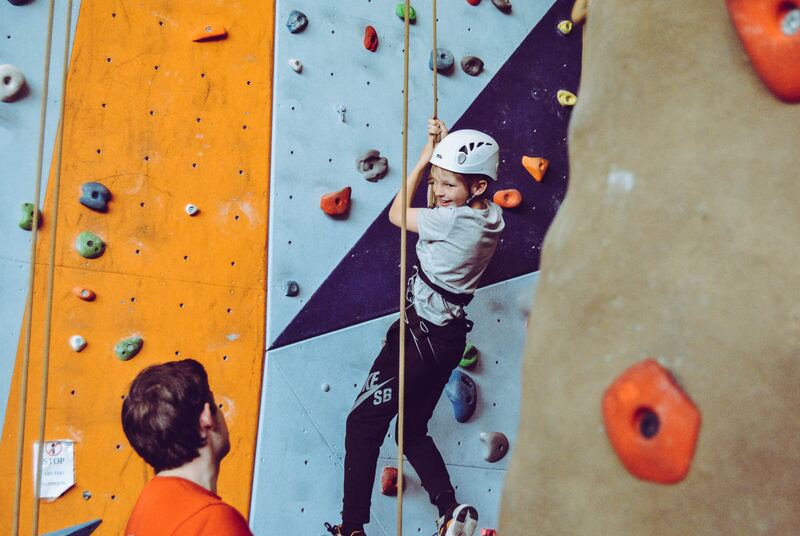 In this case you can go to Climbat La Foixarda climbing wall, where you have many walls of up to 15 meters where you will learn and improve your climbing skills. On the other hand, we recommend a visit to any of the two skating rinks that you can go to slide on the ice. The first is Football Club Barcelona’s ice rink, located next to the Camp Nou. However, if you are looking for a more central location, you cannot skip a visit to Skating Barcelona. In addition, you also have some indoor pools that allow entry to those who are not members. This is the case of Dir Diagonal, which allows the use of the magnificent indoor pool with a glass roof with the purchase of a day ticket. Other options are CEM Can Felipa, Esportiu Rocafort or Club Natació Catalunya. If it starts to rain in the evening, there are endless options to have a great time in Barcelona. The number of live shows that you can witness begins with the best theaters such as Coliseum, the National Theater of Catalonia (TNC) or Victoria, where you will find musicals, dramas and hilarious comedies. Other options that offer much more varied and alternative works include the Raval Theater, the Beckett Room or the Tarantana Theater. On the other hand, if you want to enjoy the best live music, you cannot miss an opera at the Liceu, a perfect plan if you do not know what to do as a couple in Barcelona and you would like to surprise your partner. You can also attend a folkloric concert at the Palau de la Música or listen to the magnificent Symphonic Orchestra of Barcelona at the Auditori. In addition, places like the Mercat de les Flors offer dance shows and many places like Mediterráneo will make you laugh out loud with their nights of monologues. There is no doubt that art can be found in any corner in the city. This is why one of the best things to do when it rains in Barcelona is to visit one of the many exhibitions and galleries that are scattered throughout the municipality. Among all the museums, we want to highlight the MNAC, or National Art Museum of Catalonia. Here you can admire the best of Catalan art, from Romanesque to modernism, as well as the most interesting temporary exhibitions. Another option that is located on the mountain of Montjuïc is the Fundació Joan Miró Museum, dedicated to the Catalan artist and where you can admire a many sculptures, paintings created by Miró as well as a space for contemporary art. 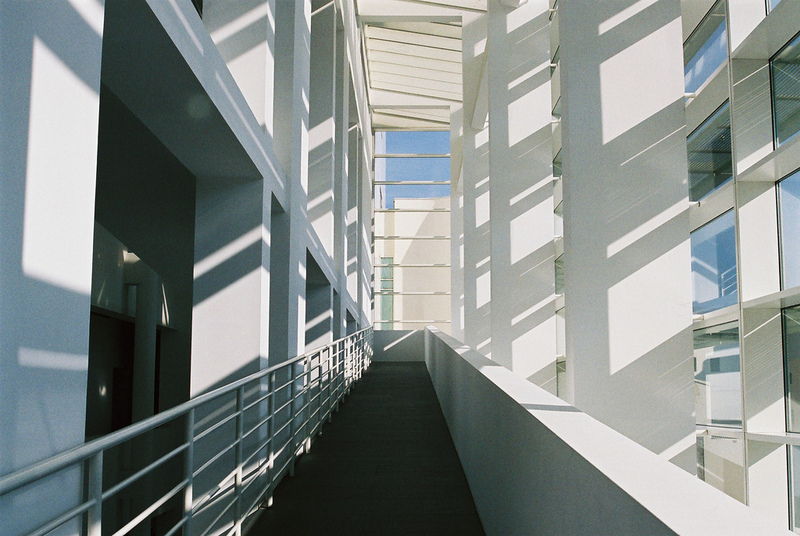 If you like the most current art, a visit to the MACBA is what you are looking for. Some museums dedicated to other interesting aspects that deserve a visit include the Museum of History of Catalonia, the Maritime Museum or the Museum of Design. Take advantage to renew your wardrobe or allow yourself a treat in the shopping centers where you can be covered when it rains in Barcelona. Built in an old bullring, this circular shopping center has all the clothing brands you can imagine, as well as a cinema and a large number of restaurants where you can eat. Basically, everything you need to spend the whole day. This complex located in the Bon Pastor neighborhood, in the district of Sant Andreu, is the largest in all of Catalonia, so you can imagine how many shops you will have at your disposal. Like the previous one, it also has a multiplex cinema and a great restoration offer. On the border of Barcelona with the neighboring city of L’Hospitalet de Llobregat, Gran Via 2 is one of the most elegant shopping centers in the city. Here you will find clothes, accessories, electronics, toys … It is the most suitable to visit with children in Barcelona. If you want to find an activity near our holiday apartments in Barcelona, you cannot miss another of the largest shopping centers in the city. With more than 200 establishments, here you will have a wide range of leisure activities and an offer of shops where you will find absolutely everything. 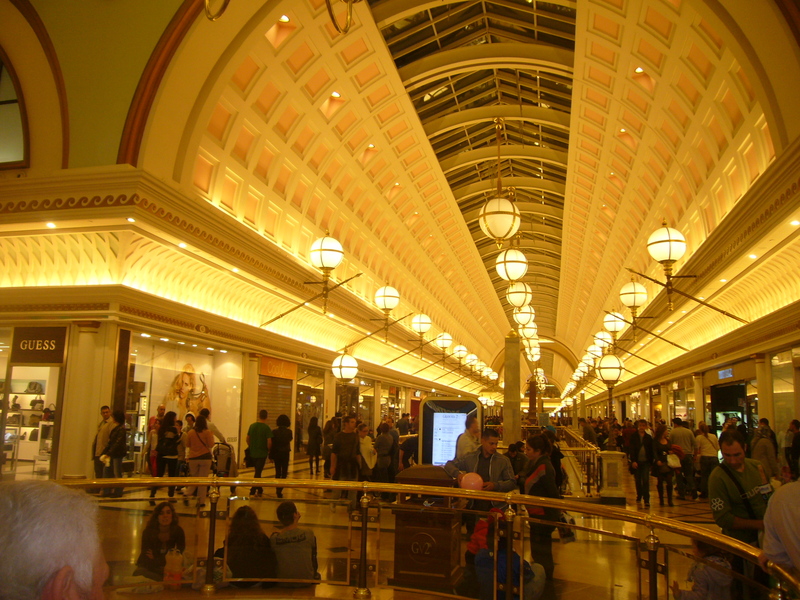 Entering L’Illa is synonymous with a stylish shopping experience. Here you can slowly stroll around each of the clothe stores and find that piece you’ve been longing for. In Cosmo, literature, gastronomy and art come together in such a way that being bored will not be an option. Located in a book store in the city, here you can admire works of art, have a snack and read one of the novels you will find there. Do you want to take a sip surrounded by books? At Café Altaïr, this is possible. This veteran bookstore has opened a new space on its lower floor designed for literature lovers. If you are looking for an eclectic and kitsch space to finish your last book, Le Standard, in the neighborhood of Gràcia, is your ideal place, with sofas so comfortable that you will feel like you are in your own home. What better way to spend a rainy day in Barcelona than playing with your friends around a table? Places like Musgaña allow you to play board games such as Party & Co, darts and much more. This is also the case of Cotxera, a musical bar where you can play a game of Scatergories, Cluedo or any other board game that you can imagine. Finally, Queimada Nivell Q has been open for more than 30 years offering a table to have a great time with Catan, Dixit, etc. 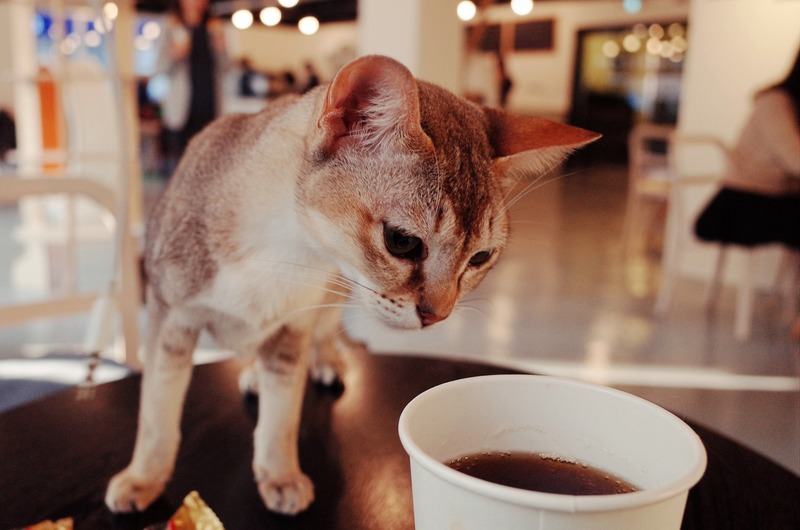 If you are an animal lover, you will be glad to know that there are many places where you can pet these furry pets while you relax with a hot tea while you are safe from the rain. Espai de Gats, for example, offers a comfortable space to surround yourself with cats that need to be adopted. Book at a certain time and visit it as long as you want. Another option is Suara Foundation which, despite not being conceived as a cafeteria, is the ideal place to relax with these animals’ purrs. Rescued from feline colonies in the area, these kittens that are up for adoption will play with you in a comfortable space designed for you and them to have a great time. If you want to know about bars where you will spend hours until the rain in Barcelona has disappeared, here are a few. A great idea is to go to L’Ovella Negra (‘black sheep’ in English). This bar is one of the bustling young people. In this macro tavern in Poblenou there are large tables where you can have a jar of beer, organize foosball tournaments and listen to the most popular music. On the other hand, the Polaroid Bar offers theme nights and various events. Just observing the decoration will take a while, but we recommend come here on one of their Quizz Nights to test your intellect. In addition, in L’Escenari, next to the Teatreneu theater, they offer different fun activities to spend the night, from musical bingos, trivial nights … If you double up with a play you can have the perfect evening. The little ones are pretty demanding when it comes to having fun when it rains in Barcelona. For this reason, we have gathered some proposals that they are going to love. Enter an underwater world and explore the seabed with your children in small ecosystems created next to the seaport of the city. 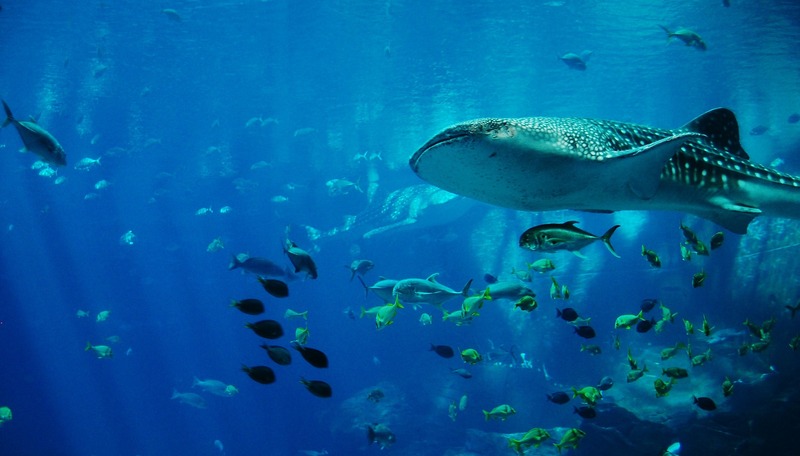 The Aquarium consists of themed aquariums and an Oceanarium with an 80-meter tunnel to watch sharks, moonfish, moray eels and many other species. In addition, the little ones can take part in family activities that are organized on weekends and even interact with the species in a fun way in the Explora! space. Another place where children can learn while they have a great time is CosmoCaixa, an area where they can play with all kinds of artifacts to learn about how the environment and physics work. In addition to discovering temporary exhibitions, you can also walk through an amazing Amazonian ecosystem and get to know the animals that inhabit it, such as turtles, a capybara, crocodiles and snakes. Getting rid of all the adrenaline that children hold within is possible in the city’s indoor adventure & play parks. Let your children play with others under cover in Peek a Boo, having a great time with pieces of Lego, bringing out their creative side in the art zone or exploring in the soft play area. Another option is Adventure Park, with three different play areas for ages between 1 and 10, where they can have a whale of a time sliding down the slides and crossing zip lines. Are you already sure about what things to do when it rains in Barcelona? Let us know how the day has gone or give us clues about other interesting places to shelter from a downpour. The weather in Barcelona: what will the forecast be like during your holidays?